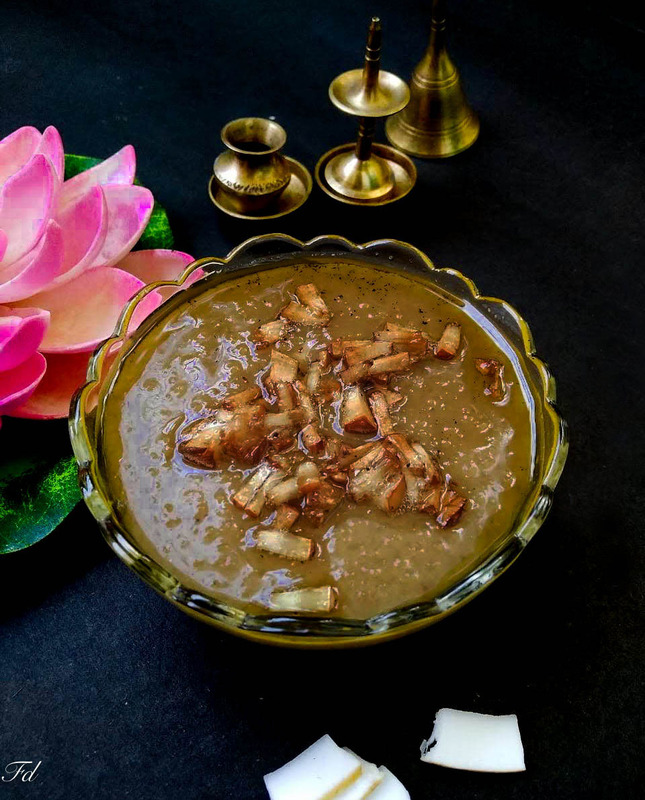 Payasam forms an integral part of the Kerala feast/sadhya, where it is served and relished from the banana leaf. Payasam is served after rasam rice, while rice with curd / buttermilk forms the last item of the sadhya. 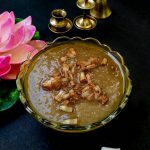 This is the recipe for super delicious broken wheat payasam with coconut milk and jaggery. Other Kerala sadhya/ Onam sadhya recipe here. Wash and Cook broken wheat adding 2 cups of water in a pan. 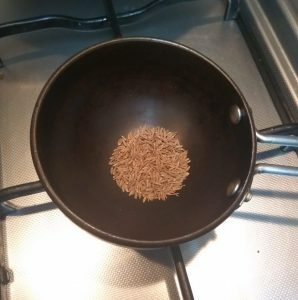 Drain the water once it’s cooked. Keep aside. 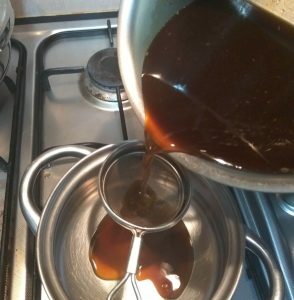 Melt jaggery in 1½ glass water. 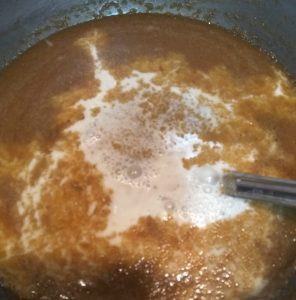 Strain the jaggery syrup, to remove impurities if any. 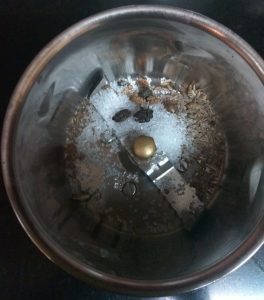 Dry roast cumin seeds and powder it. Keep aside. Heat a thick bottomed pan add 4 tbsp ghee and cooked wheat. Mix well for 5 minutes. 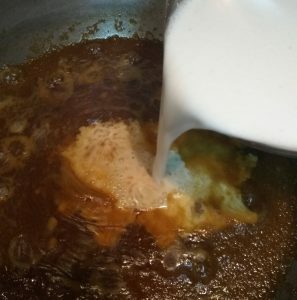 Add jaggery syrup. Let it boil and the water gets evaporated. Add thin coconut milk and continue cooking, stirring continuously. 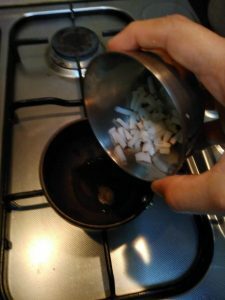 Once it boils, add a pinches of salt. 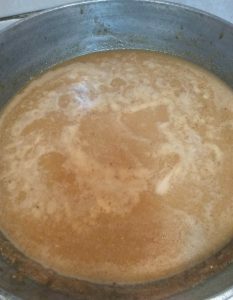 Once it starts thickening, simmer and add thick coconut milk and stir well. Add in cardamom powder and cumin powder. Mix well. 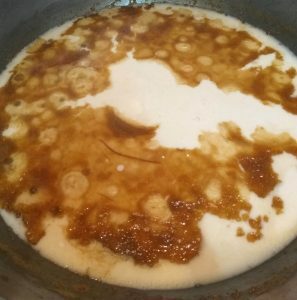 Simmer for a minute as the payasam starts boiling switch off. 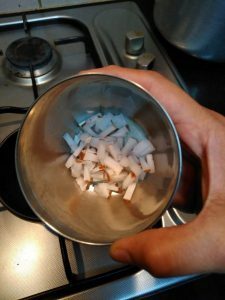 Finally, Fry dried coconut pieces in 3 tbsp ghee and add it to the payasam. 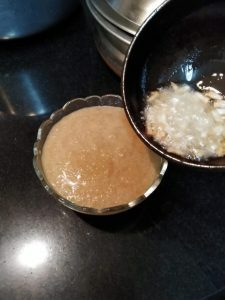 *Drain away the water after cooking the wheat, so the wheat won’t be stick and helps to get the perfect texture for payasam. *After adding the thick coconut milk simmer and cook. 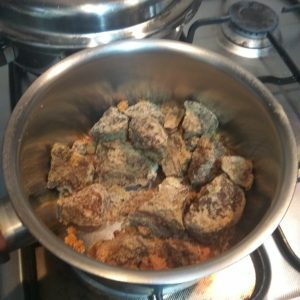 Do not bring to boil and over cook. *Adding a pinch of salt is optional, it enhances the taste.
. 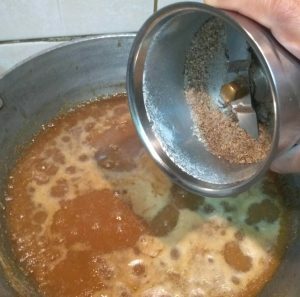 Melt jaggery in 1½ glass water. 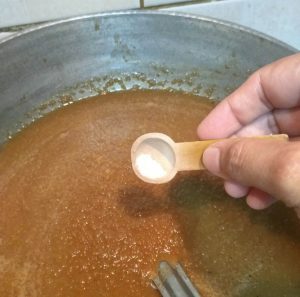 Strain the jaggery syrup, to remove impurities if any. Dry roast cumin seeds and powder it. Keep aside. Heat a thick bottomed pan add 4 tbsp ghee and cooked wheat. 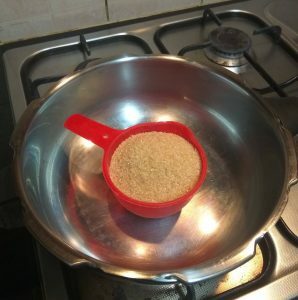 Mix well for 5 minutes. 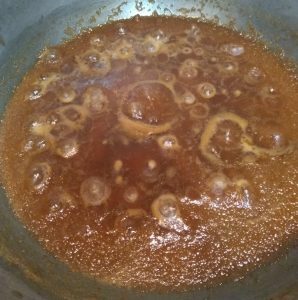 Add jaggery syrup. Let it boil and the water gets evaporated. Add thin coconut milk and continue cooking, stirring continuously. 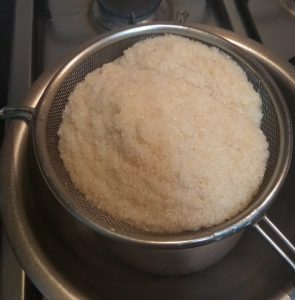 Once it boils, add a pinches of salt. 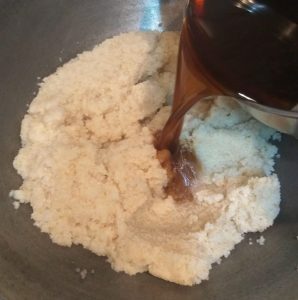 Once it starts thickening, simmer and add thick coconut milk and stir well. Add in cardamom powder and cumin powder. Mix well. 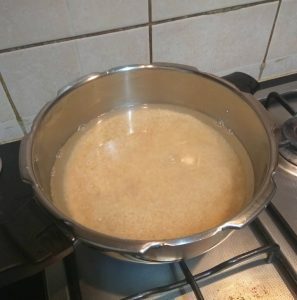 Simmer for a minute as the payasam starts boiling switch off. Do not bring to boil and over cook. 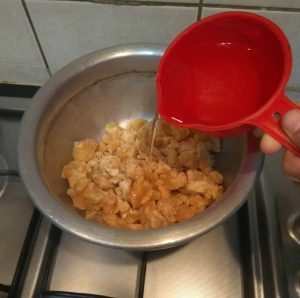 Finally, Fry dried coconut pieces in 3 tbsp ghee and add it to the payasam.